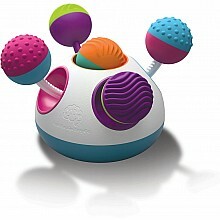 Rattling, spinning, colorful balls and knobs let baby discover sound, movement, color and texture! 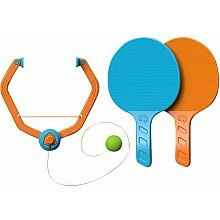 For ages 1-3 yrs, from Fat Brain Toys. 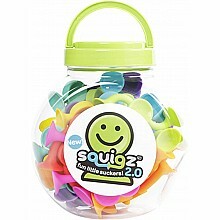 Bold, colorful shape-sorter is great for teething and tactile exploration! For ages 10-24 mos, from Fat Brain Toys. 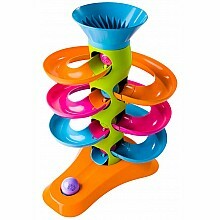 Endless ball run fun, with chunky pieces just right for little hands! 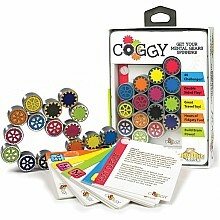 For ages 2-5 yrs, from Fat Brain Toys. A stacker with a 'twist' for tons of fun! 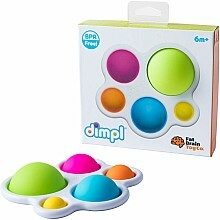 For ages 1-3 yrs, from Fat Brain Toys. 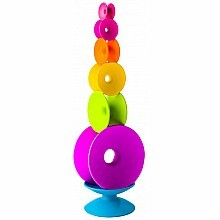 The corkscrew pole spins and twists each disc as it slides down to the wobbly base! 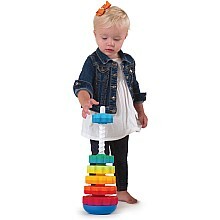 For ages 1-3 yrs, from Fat Brain Toys. Grab, stack, balance or roll these fascinating, color-rich and unusual shapes! 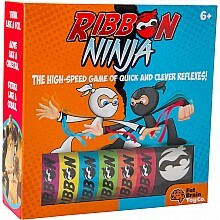 For ages 10-24 mos, from Fat Brain Toys. 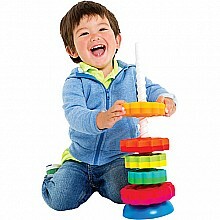 Build wiggly, wobbly creations from these curvy pieces! 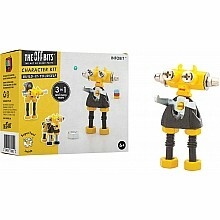 For ages 3-7 yrs, from Fat Brain Toys. 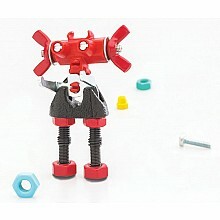 Upcycled bits and pieces make quirky, mini-robot contraptions, to share with other creators online! 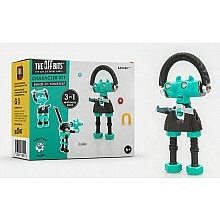 For ages 6 yrs-teen, from Fat Brain Toys.